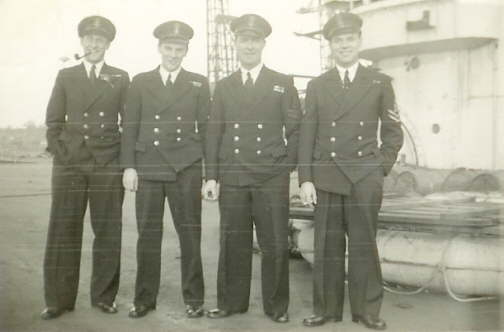 Petty Officer (Telegraphist) Alfred Turner 4th (l to r) served aboard HMS. Vengeance from 1944 to 1947. Others unknown. Cecil 'Jimmy' Green - Cook. Served on HMS. Vengeance from September 1945 to August 1946. 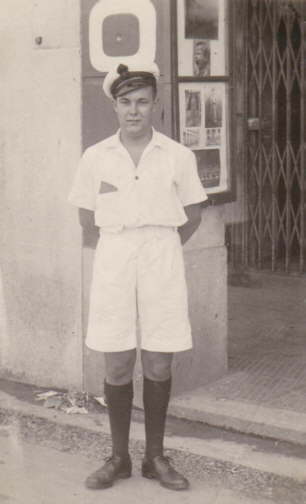 Photograph taken in Hong Kong in 1945.